From the moment you ascend the stoop and see the granite and terra-cotta façade, you can tell that this is a special house. 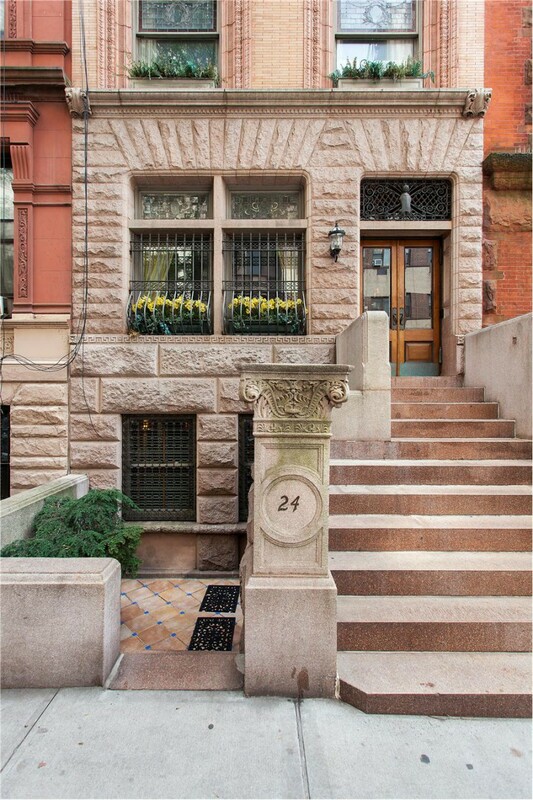 Architects Hugh Lamb and Charles Alonzo Rich faced the garden and parlour floors in “peachy-pinky” rough-cut carved granite, and the top three floors in pale golden iron spot brick and terra cotta. Elaborate wrought iron ornamentation crowns the front door. In the terra cotta surrounds of the third floor windows, keystones shaped like armored knights can be seen. The splayed lintels of the fourth floor windows are complemented by scallop shells at either end of the sills. And the fifth floor continues the theme, with huge terra cotta shells filling the arches of the windows; smaller scallop shells flank the fifth floor façade and adorn the terra cotta cornice. Winged cherubs hold up the iron spot brick pillars that frame the cornice. 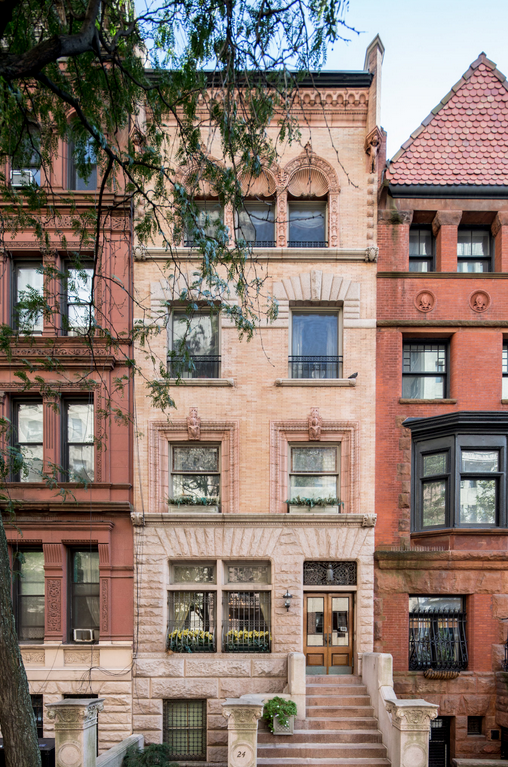 Contact Cathy at 212-769-2900 for more information or to schedule a showing.